We all know that salary packaging is popular with employees, as it allows them to reduce the amount of tax that they pay. It allows the employee to pay for expenses, such as a car, laptop, or additional superannuation expenses from their pre-tax earnings, which in turn reduces the total income that can then be taxed. Less-often talked about is how salary sacrifice programs can also benefit the employer, and provide savings to the tune of hundreds of dollars per employee, per year. With that being said, there are considerations that both sides need to make before engaging in salary sacrifice packaging programs, as there are also potential drawbacks that can affect both parties. This has additional tax benefits for the employee as it is, and in making the contributions from the pre-tax income, it is a useful way for the employee to rapidly scale their super savings, even though the benefits back to the business are non-existent. This is one of the best ways for employees to get a car, and reduce down on running costs – cars purchased this way need to have work applications, and the employer will generally need to reimburse the owner for the costs of travel for the purposes of work. Employees are often happy to pay for laptops, professional memberships, and airport lounge memberships via salary sacrifice, this can reduce their taxable income and provide them with an increased cash flow year-round. Employers are generally happy to agree to this, as it saves the onus on providing equipment from being on them. Employees that work remotely may qualify to salary sacrifice everything from their mortgage interest or rental accommodation costs, to the cost of airfares to fly in for meetings with head office. Employers that offer salary sacrifice programs are popular places to work. One of the most basic benefits of all for employers is that, in offering salary sacrifice options, employees will see their place of employment as desirable. They’re more likely to attract the best talent and then retain it, which gives the employer a competitive advantage in the long run. Whether it’s managing a fleet of cars, or buying and managing laptops for employees, equipment can be an expensive part of the business. This is particularly the case with cars, where there is a lot of risk that a business is responsible for, in terms of insurance and so on. By enabling employees to buy their own equipment via salary packaging and then use it for work purposes, the business is able to mitigate a lot of that expense and risk. It gives the business access to talent from more places. The ability to salary sacrifice rent or flights when working remotely means that a business can more easily recruit talent from around the country, which can be a great help in finding specialised skills and professionals without needing to ask them to relocate from their homes. The reality is that your accountants are probably already very busy people, and a salary sacrifice program can take a lot of work to manage. Most organisations that set up structured salary sacrifice programs us a specialist firm to manage the program, which of course adds a cost to the business, so you’ll want to make sure that the savings that the salary sacrifice brings into the business aren’t outweighed by its cost. Employee absenteeism is a concern for salary sacrifice programmes. For example, if an employee were to get seriously sick or take maternity leave, any equipment being paid for over a period of time (for example, cars), would continue to incur the same costs. The employee’s wages would decrease in line with the type of leave being taken, but they would not lose access to the equipment, which can become expensive for the business. Home mortgage payments and some incidental purchases that the employee might want to make would return little to no benefit back to the business in terms of tax savings. While there’s still an argument that could be made that allowing staff to make these purchases is good for morale, in practice, administering these salary sacrifices might simply not be worth it for the business. Overall, it is a very good idea to enable staff salary packaging options. 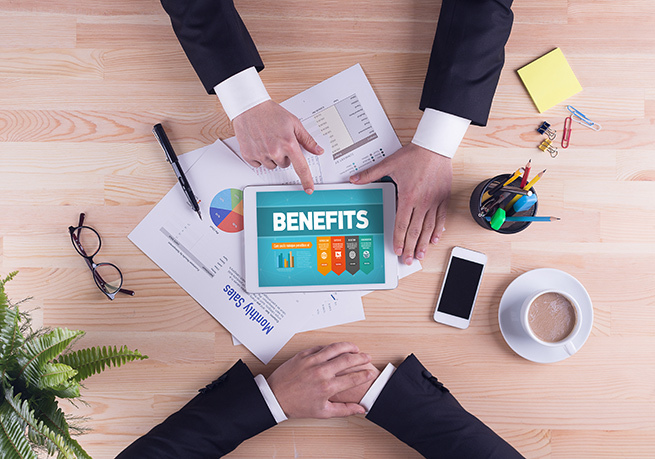 The ability to shift purchasing costs to the employee, while ensuring that both sides benefit from a costing point of view, makes this one of the best benefits that you could offer your staff.